Coca-Cola, PepsiCo, and Nestle have been identified by campaigners as being among a handful of businesses that are contributing most to pollution. After sifting through nearly 200,000 pieces of plastic collected from shores around the world, their packaging was the most frequent identified by volunteers wh conducted clean-up operations from the UK to Vietnam. In Europe, these three companies made up nearly half of this “brand audit” of plastic, according the Break Free From Plastic, a global movement consisting of nearly 1,300 groups from across the world including Greenpeace, whose member organisations carried out the work. As 69 MEPs on the European environment committee prepare to vote on new rules to cut back on single-use plastics, a 250,000-strong petition was delivered to the European Parliament calling for producers to pay for their pollution. Their case was bolstered by the audit, which aimed to give some sense of the plastic footprints left by these companies. “These brand audits offer undeniable proof of the role that corporations play in perpetuating the global plastic pollution crisis,” said Von Hernandez, global coordinator of Break Free From Plastic. 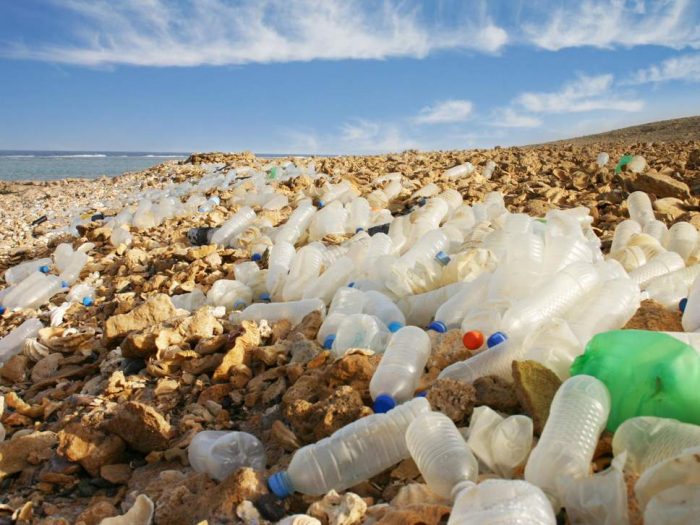 “By continuing to churn out problematic and unrecyclable throwaway plastic packaging for their products, these companies are guilty of trashing the planet on a massive scale. Of all the brands identified, the teams found that Coca-Cola was the top polluter, with Coke-branded plastic found in 40 of the 42 participating countries. Responding to these findings, a spokesperson from Coca Cola said they shared the campaigners’ goal of eliminating plastic waste from the ocean “and are prepared to do our part to help address this important challenge”. They said the company was aiming to help collect and recycle a bottle or can for every one we sell, and aim for 50 per cent recycled content, by 2030. “We can’t do this alone, and it will take some time to accomplish. but we recognise the need for action and the importance of creating a world without waste,” they said. PepsiCo said they had also committed to achieving “100 per cent recyclable, compostable or biodegradable packaging by 2025”. The brand audit provides the best picture to date of the brand causing most pollution, and the Break Free From Plastic movement hopes to encourage politicians and businesses to pay attention to these plastic footprints. “Plastic pollution needs to be more than just an image problem for brands. More than 250,000 have signed our petition to the European Parliament environment committee to hold companies responsible for the plastics they produce,” said Eoin Dubsky, campaigner at SumOfUs, who started the petition.